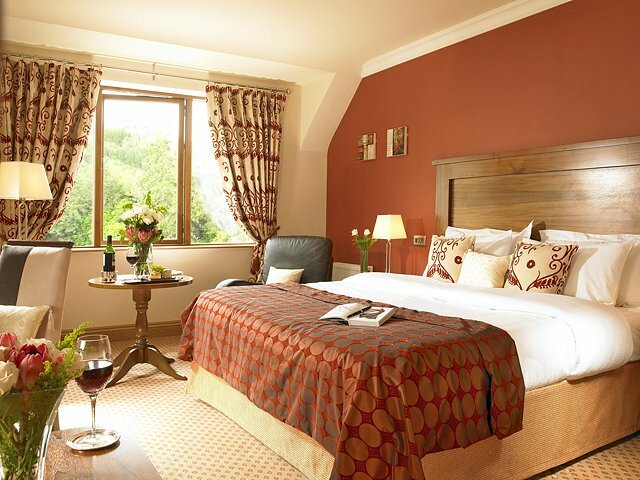 The Glengarriff Park Hotel is located in the heart of the peaceful village of Glengarriff, West Cork. Luxury hotel accommodation is a hallmark of this award-winning property which sits at the entrance to the Blue Pool Park and Garnish Island. Recently renovated, this award winning West Cork luxury hotel offers you the unique opportunity to relax and unwind, with a range of luxurious bedrooms, superior dining in The Park Bistro or whilst sharing a drink with locals in our welcoming Mac Carthy's Bar.A warm and friendly welcome awaits you on arrival by professional staff who take pride in serving guests at one of the top luxury hotels in West Cork. Take a walk through the 60 acres of Parks, Botanical gardens and Nature Reserves right on our doorstep. The Glengarriff Park Hotel is well known for its magical scenery, surrounded by stunning hills, mountains and glittering blue seas, overlooking Bantry Bay. Glengarriff is also noted for the variety of plants and marine life that flourish here due to the warmth of the Gulf Stream. 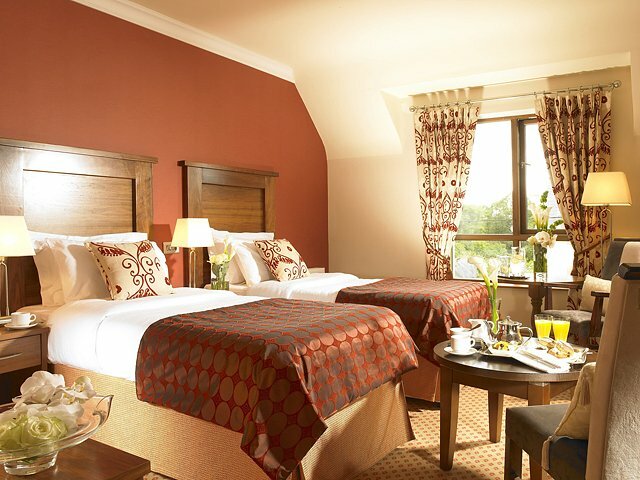 Guest Rooms: Spacious, luxurious hotel rooms and deluxe suites, designed with your comfort in mind, await at the Glengarriff Park Hotel; the premier destination in West Cork for a short break or extended vacation. 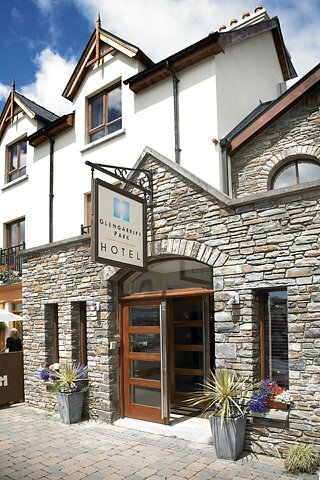 Location: The Glengarriff Park Hotel is located in the heart of the peaceful village of Glengarriff, West Cork. Luxury hotel accommodation is a hallmark of this award-winning property which sits at the entrance to the Blue Pool Park and Garnish Island. The main road through the village is the N71 linking the Towns of Bantry in West Cork and Kenmare in County Kerry. Our hotel is situated opposite the entrance to the Blue Pool Ferry and next door to the Glenaran Irish Market. 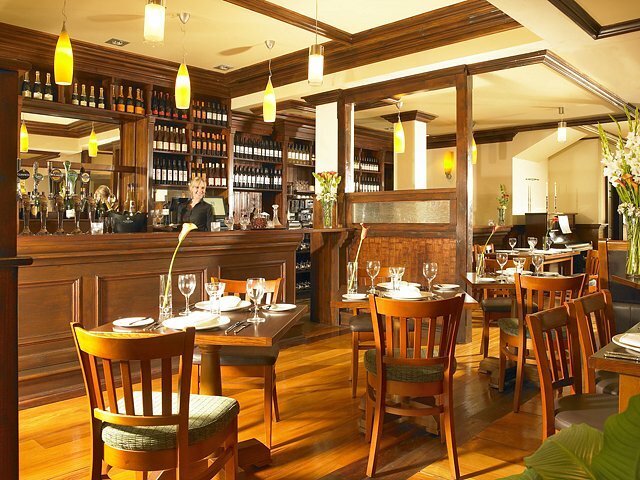 Restaurants: The Park Bistro at the Glengarriff Park Hotel offers a classic combination of superior décor complimented by exceptional individually crafted dishes using only the finest local produce, a perfect choice when dining in West Cork. 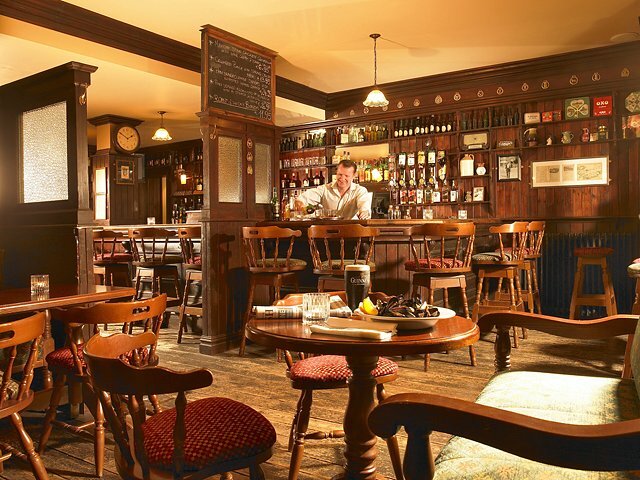 The charming McCarthy's Bar is a traditional Irish pub where lively music sessions are held regularly. This welcoming bar is the sort of place where you can easily mingle with locals and visitors as stories and local wit fill the topics of conversation. Choose from an extended bar menu which is served throughout the day sourced from food suppliers within the region.